Call it the great thorium divide: Thorium supporters and thorium critics do not agree over claims that thorium is an alternative nuclear fuel that could ensure a better future for the planet. Nonetheless, interest continues in thorium as a safer and abundant alternative to uranium. On the side of thorium, the latest call for action has come from Hans Blix, the former UN weapons inspector and former Swedish foreign minister. Urging nuclear scientists to develop thorium as a new fuel, Blix also called on the nuclear industry to start powering reactors with thorium instead of uranium. Blix said that the radioactive element may prove much safer in reactors than uranium and it is also more difficult to use thorium for the production of nuclear weapons. He believes efforts in turn should be made to develop thorium, as the world looks for future energy supplies. "I'm a lawyer not a scientist," Blix told the BBC News. He acknowledged there are many obstacles ahead in turning to thorium, but development efforts should be made. Thorium is a radioactive element and there are thorium reserves in countries around the world. Scientists promoting thorium as an alternative nuclear fuel argue that is a safer, more economical way of generating nuclear power than uranium. It is also more difficult to use thorium for the production of nuclear weapons. To be sure, abundance has been a strong argument among supporters. Thorium is believed to be three times more plentiful than uranium. Oystein Asphjell, chief executive of Thor Energy, told BBC News: "There is lots of thorium in the world, very well distributed all over the globe." As for nuclear waste, he said "we do not generate long lived waste." As the BBC News report explained, when a uranium reactor overheats and the fuel rods can't contain the chain reaction, as happened at Fukushima, the crisis continues. This bears contrast to the case of thorium where, if something happened to a thorium reactor, technicians could switch off the stimulus which comes from uranium or plutonium in a small feeder plant. 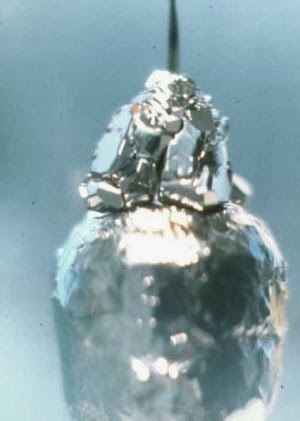 The thorium reaction would shut itself off without any human intervention. A number of countries have explored thorium as an alternative fuel. Led by Norwegian company Thor Energy, thorium is being tested at a site in Halden, Norway. Nonetheless, critics warn that, if supporters say it is high time to turn to thorium, they say this is a poor time. Their concern is that developing new reactors could drain funds best applied elsewhere. Nils Bohmer, a nuclear physicist with Norwegian environmental NGO, Bellona, said thorium development was a distraction from the need to cut emissions immediately to stave off climate change. He called the advantages of thorium "purely theoretical," according to the BBC.